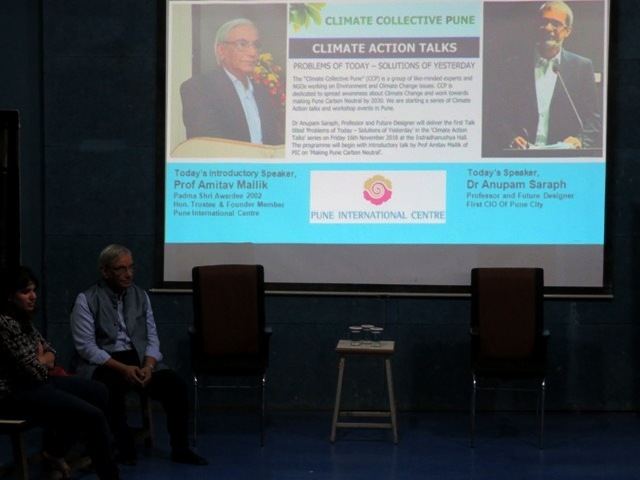 Climate Collective Pune (CCP) & Pune International Centre (PIC) organized the First Climate Action Talk titled “Problems of Today—Solutions of Yesterday” on 16th November 2018 at Indradhanushya Hall, Pune. 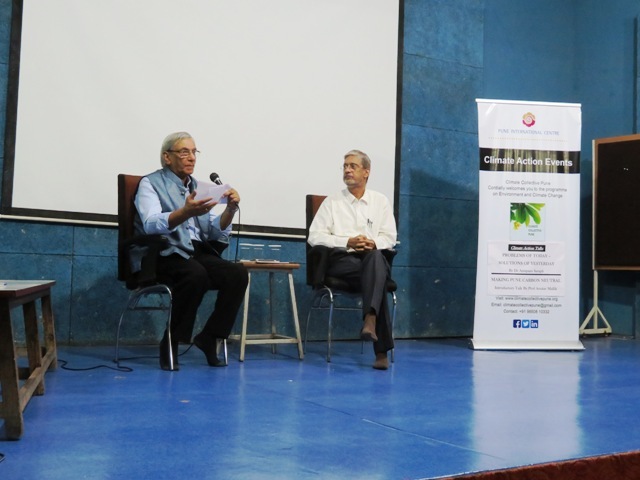 The Programme started with a brief introduction about CCP and the speakers Dr Anupam Saraph, Professor & Future Designer, Former CIO of Pune city and Prof Amitav Mallik, Padma Shri Awardee 2002. 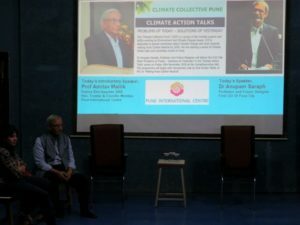 The introductory Talk titled “Making Pune Carbon Neutral” was delivered by Prof Mallik, Honorable Trustee & Founding Member of PIC and leading member of CCP. He highlighted the need to realize that we have only 8-10 years left to reduce the Carbon Emissions & control Climate Change. And the only method of achieving such a goal is to walk away from our addiction to Fossil Fuels and go with Renewable Energy (RE). He also mentioned the recent IPCC Report and further added that every 0.5-degree effect will make a huge difference. And every 0.5-degree which is against us will remain against us for the next 30 years as there is no provision to go back. Although many policies and commitments have been publicly made, we are nowhere near achieving them. 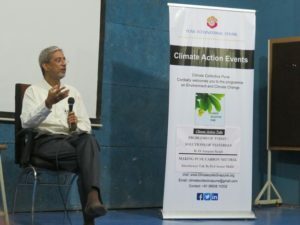 He emphasized that the target of Carbon Neutrality is not zero but ‘Net Zero’. So if we modify our consumption habits and daily activities and, most importantly, our mindset towards Environment and Climate Change; then this goal is achievable. This was followed by the invited talk by Dr Anupam Saraph titled “Problems of Today—Solutions of Yesterday”. Dr Saraph said that most of the solutions of yesterday were made addressing a symptom, not the cause; and these solutions of past are super Problems of today. He also highlighted the alarming situation; we are in; to deal with climate change in less than a decade. 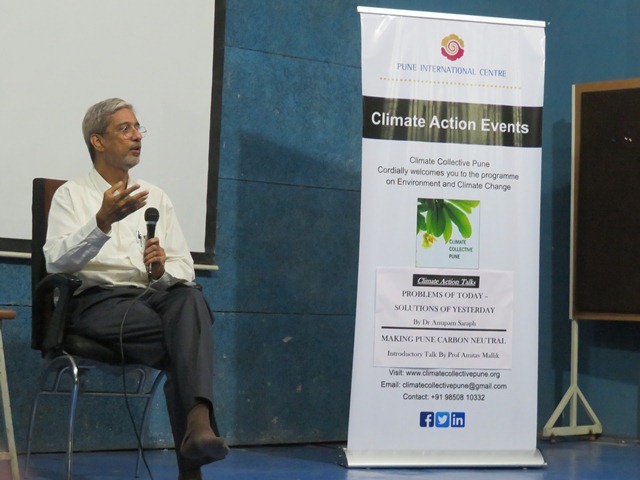 The key focus of his talk was the need to realize the fact that the solution we are posing for dealing with heating in the form of AC, Refrigerators, are actually the cause for further intensifying the heating problem we are facing now. He beautifully highlighted several examples which were considered to be grand solutions of yesterday but now have become the problems for today. The very first example was about the Drinking Water bottles which came as a solution for the undrinkable municipal water. However, now seeing the exponential demand, which has grown several folds in the last three decades, has led to the exploitation of groundwater. He also raised the point that their Potability is also questionable as the source is never mentioned on these bottles. He further explained that these bottles carry a chemical which resembles the Thyroid Hormone in humans causing health causalities. This harmful gas is formed after the plastic comes in contact with the sunlight and gets released. He also explained the fact that how the big Malls are regarded as great Progress for satisfying all ‘needs’. But with the new deals and offers happening every day, people end up with more than what they need, which in turn leads to Wastage. 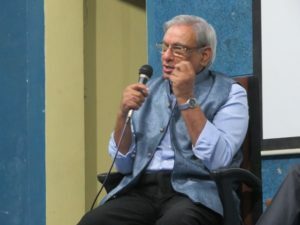 He further shared his strong thoughts on why these Buildings, Malls and Productivity alone cannot define the Growth and Development reality of this country. In his talk, he put forth the point that most cities, like Pune, have grown beyond their capacity. The Government, on the other hand, regards them as ‘Smart City’ and a growth process, and awards them 100cr as a part of Smart City Fund instead of punishing them. In one of his example, he mentioned Cesare Marchetti’s research, where he states that our time for travel has been constant for centuries, but meanwhile the speed and means of our travel started increasing rapidly and so did the range of Urban Areas. This has given rise to new problems of mobility. He further explained how the Metro and rapid transport, facilities, which came as a solution for Congestion and Mobility, have themselves become a problem. Dr Saraph emphasized on defining Development in the right manner and generating solutions with Forethought. And he also supported the use of RE but also emphasized on conserving Energy and drastically reducing Energy Demand. The Programme continued further with the Audience Interaction Session where the audience shared questions, comments, personal opinions and instances, and support. The audience shared personal pledges like not using plastic bottles, using clothes without ironing, reusing kitchen waste water, etc. Dr Yogesh Pisolkar shared his thoughts on Governance and added that Improvement in the governance should not be percent-driven but rather it should be process driven. The audience interaction went further with Mr Devendra Jani sharing his opinion on how much he relies on gen Y and gen X and the role of youth coming in the front row of this campaign of Climate Change. 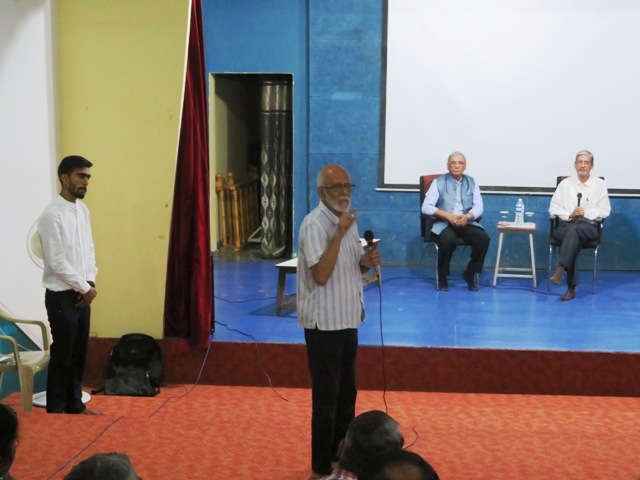 Mr Prakash Burte commented on the misuse of natural resources like Rivers by upstream urban areas which leads to environmental and health problems for the people living in downstream. Hence, taking Environmental responsibility is crucial. 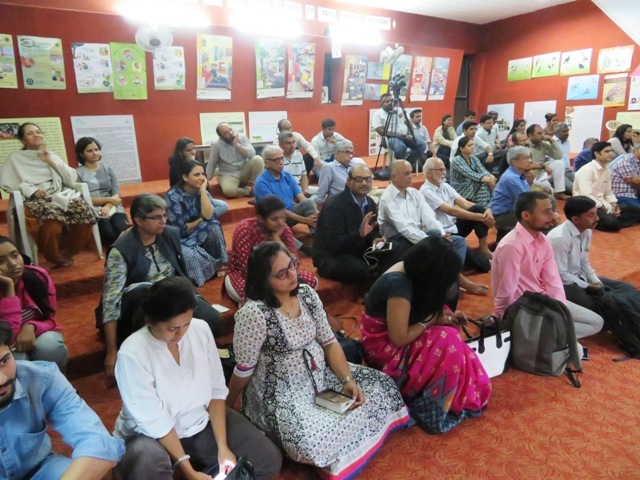 The Programme concluded with the hope for taking this vision further to combat Climate Change.